Too busy or tired to get out for a meal? 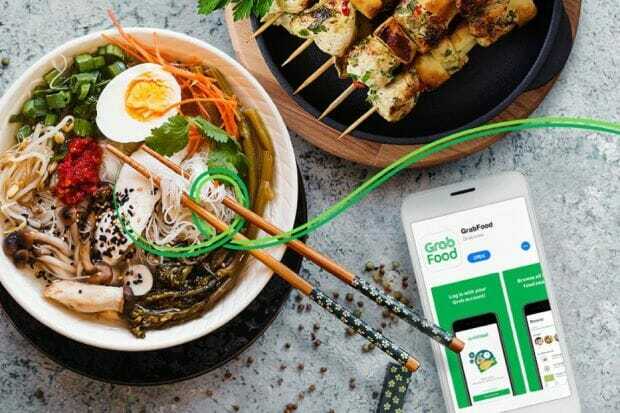 Now you save big with these GrabFood promo codes. Simply enter the promo code of your choice below before placing an order to redeem the savings. There are limited redemptions available (some daily) so use them early during the week. Use promo code SAVE6 to enjoy $6 off your order when you spend minimum $20. SAVE6 promo code entitles user to $6 off their meal and is valid from is only valid from 11 February – 17 February 2019. 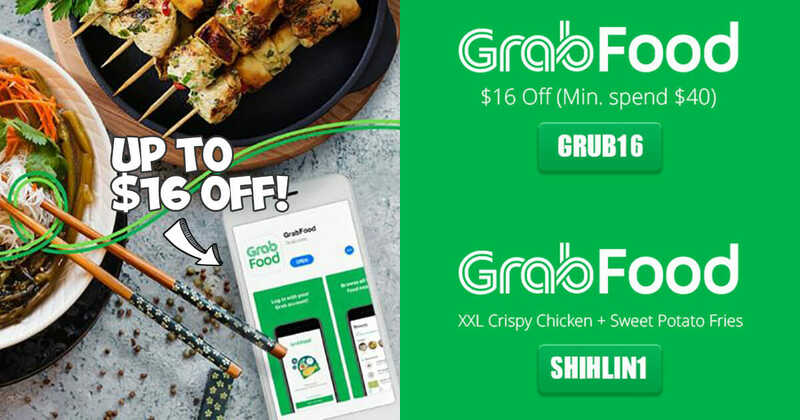 SAVE6 promo code is valid for all merchants except for GrabDurian, and cannot be used in conjunction with any other promo codes or campaigns. SAVE6 promo code is limited to 3 redemptions per user per week, or until the promo period ends, whichever comes first. SAVE6 promo code has limited redemptions available. Upon applying the code to your account, SAVE6 must be used within 4 days, failure of which will result in the code expiring. Ordering more? 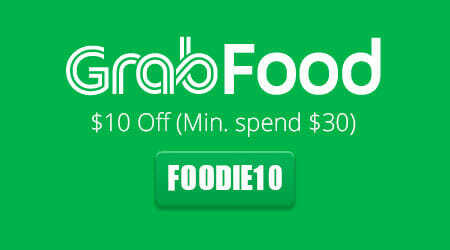 Use promo code FOODIE10 to get $10 off your order when you spend minimum $30. Got a party going and ordering big? Use promo code GRUB16 to save $16 on your bill when you spend a minimum $40 on food orders. Love durians? Redeem a $25 discount (min. spending $40) with promo code 25OFF when ordering MSW durians from GrabFood. 25OFF promo code entitles user to $25 OFF for orders of Mao Shan Wang durian with a minimum order of $40 and is available until 28 February 2019, whilst stocks last. 25OFF promo code has limited redemptions available. 25OFF promo code cannot be used in conjunction with any other promos, or for any other merchants. Durian delivery will be made within the same day, between 2-6PM, regardless of the time indicated while ordering. 25OFF promo code has limited redemptions available. A successful redemption is only made upon checkout. Any promo code applied without checkout does not guarantee a redemption in the future. Upon applying the code to your account, 25OFF must be used within 4 days, failure of which will result in the code expiring. 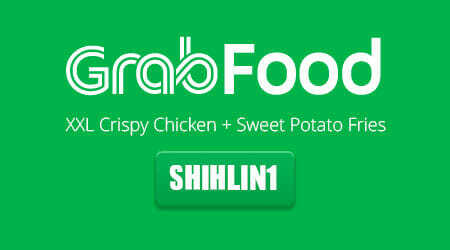 This week, enjoy an XXL Crispy Chicken and Sweet Potato Fries from Shihlin Taiwan Street Snacks when you find the $1 deal after 2pm with promo code SHIHLIN1. You can find more details from our earlier feature below. All promo codes fully redeemed? 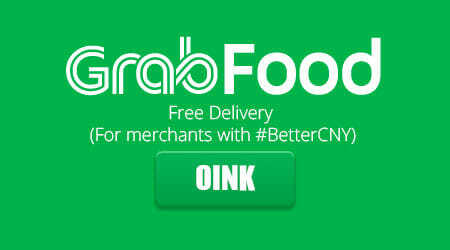 You can still use OINK to enjoy free delivery, valid for all merchants with hashtag #BetterCNY on GrabFood app. 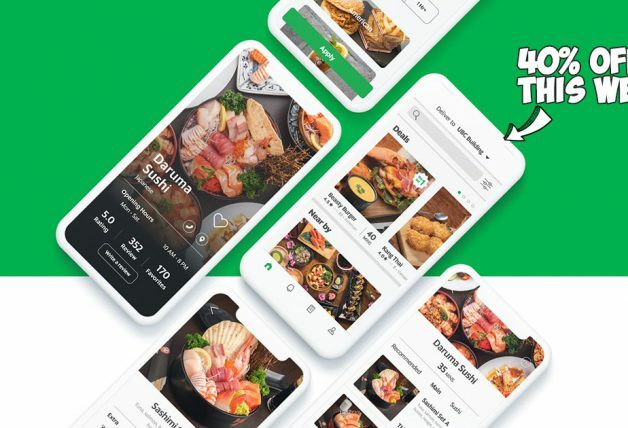 OINK promo code entitles user to all-day free delivery for particiapting merchants only under the #BetterCNY category, and is available only from 28 Jan to 19 Feb 2019. 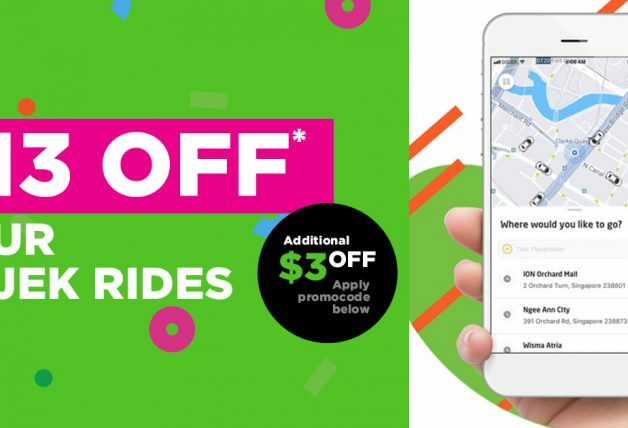 OINK promo code has limited redemptions available. A successful redemption is only made upon checkout. Any promo code applied without checkout does not guarantee a redemption in the future. Upon applying the code to your account, OINK must be used within 4 days, failure of which will result in the code expiring. From now till 24 February, enjoy a double scoop of Häagen-Dazs at just $5.90 (U.P. $10.90), available in your choice of Vanilla, Chocolate, Strawberry or Macadamia Nut. Use promo code ILOVEHD to redeem the treat at a special price. Every order will be accompanied by a complimentary mystery topping. ILOVEHD entitles users to FREE DELIVERY when they order a double scoop of ice cream from Haagen Dazs. ILOVEHD promo code is valid for orders of a double scoop of ice cream from Haagen Dazs only and cannot be used in conjunction with any other promo codes or campaigns. ILOVEHD promo code has limited redemptions available. A successful redemption is only made upon checkout. Any promo code applied without checkout does not guarantee a redemption in the future. As part of the promotion, the price of a double scoop will be $5.90 (RRP. $10.90). Users can only choose from 4 flavours, and both scoops have to be the same flavour. Upon applying the code to your account, ILOVEHD must be used within 4 days, failure of which will result in the code expiring. 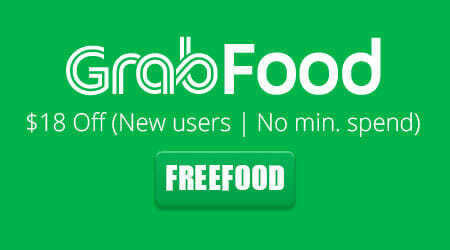 Haven’t tried GrabFood yet? Use promo code FREEFOOD to enjoy $18 off your first order, no minimum spending required. 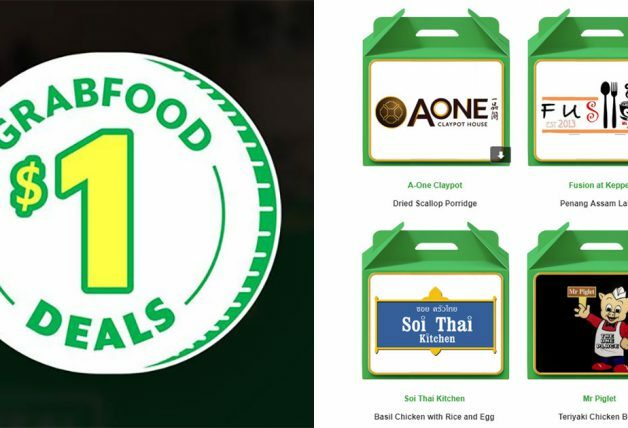 *FREEFOOD promo code entitles user to $18 OFF their order, with no minimum spend and is available until 28 February 2019, whilst stocks last. *FREEFOOD promo code has limited redemptions available. A successful redemption is only made upon checkout. Any promo code applied without checkout does not guarantee a redemption in the future.